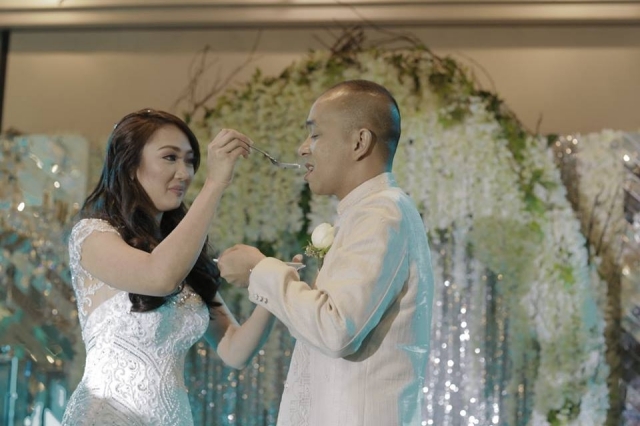 Wendz and Jake’s love story is just a proof that good things, indeed, come to those who wait. Having met through some common friends, Wendz and Jake became close and had a lovely friendship. Then, after some time, Jake decided to court Wendz. It wasn’t an easy journey, though. At first, the parents of Wendz didn’t approve of him, especially they had different religions; she was Catholic while Jake was Born Again Christian. Many times, he had to face challenges while his character was being tested. He also had to earn her parents’ trust. She was also an unica hija, so her parents were even stricter. But of course, Jake endured everything and was able to prove that his love for Wendz was true and sincere. Eventually, they officially became a couple. Then, one day, Jake finally asked Wendz’s parents for her hand. 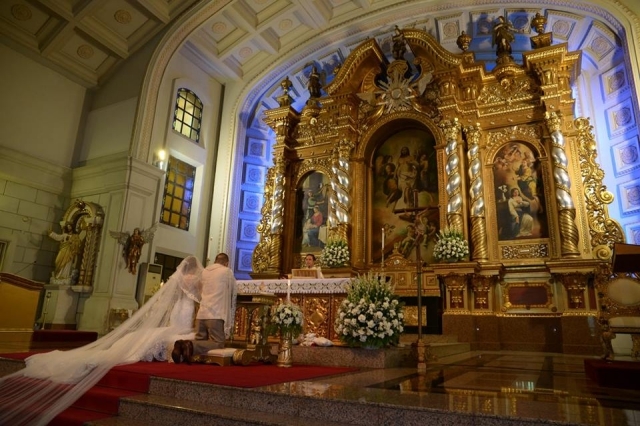 He got a favorable response, and then they decided to get married. 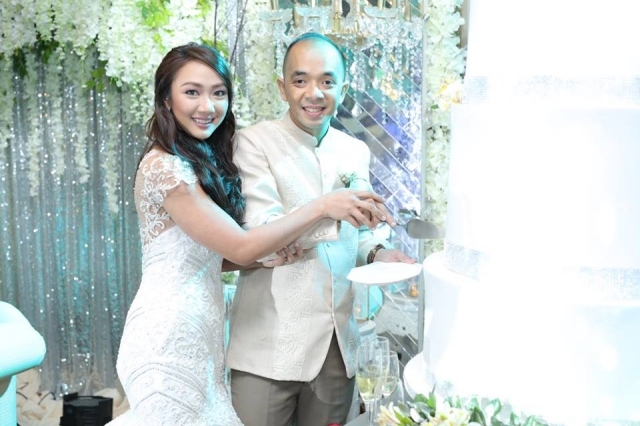 The couple was hands-on when it comes to wedding preparations. They also didn’t have a hard time planning, since Jake was so supportive of Wendz. He never failed to assist her, giving her the support she needed, especially when making decisions. But of course, Wendz also welcomed his ideas and respected his opinions. He was also the one who managed their budget and he did so well at it. Originally, the couple wanted to have a beach wedding. But since they decided to have a Catholic wedding ceremony, they could not hold it on a beach. 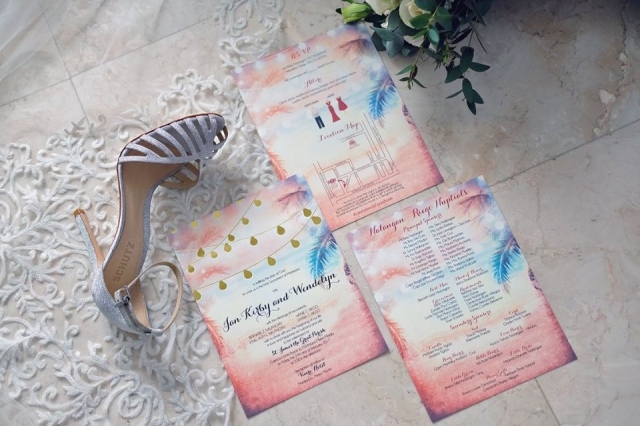 What they did, instead, was incorporate beach with their wedding details. They also chose red and white for their motifs. 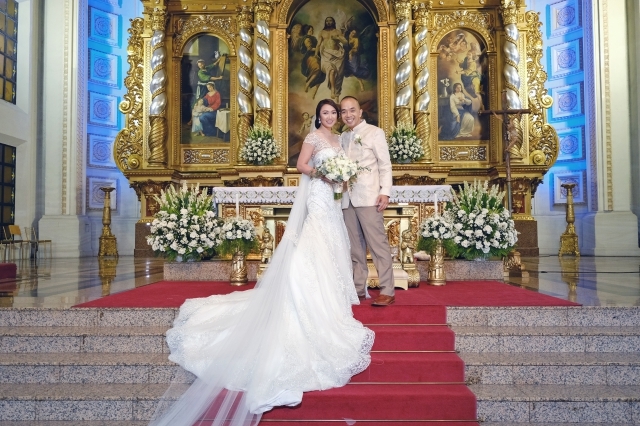 Their wedding suppliers included Jazel Sy (bridal gown), ZR Macalagay Embroidery (barong/suits), Don Robert Bridal Car (bridal car), Cake Mapping Philippines (cake), Vivere Hotel (venue and catering), Key Events (coordinator), Events Central by Anna Chow (flowers), Toni Aviles (hair and makeup), Yanna’s Printshop (invitations), Infinite Soul (music and entertainment), Nice Print Photography & Exige Weddings (photo and video), Erick Daquioag (host), Weddings by Desino Dulce (bridal robe and mom’s gown), Roxoanne Bagano Couture (entourage gowns), and Tin Arcenal Make Up (entourage makeup). 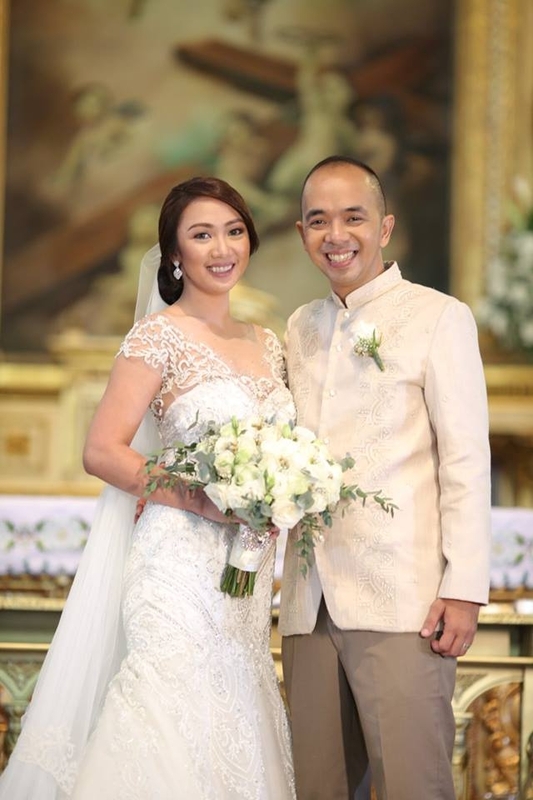 Some of these wedding suppliers were recommended by their friends who had already gotten married, while some, they found through magazines and social media. Fortunately, all these suppliers exceeded their expectations, really helping them execute a wonderful and memorable celebration. No wonder, there were too many things to love about their wedding. 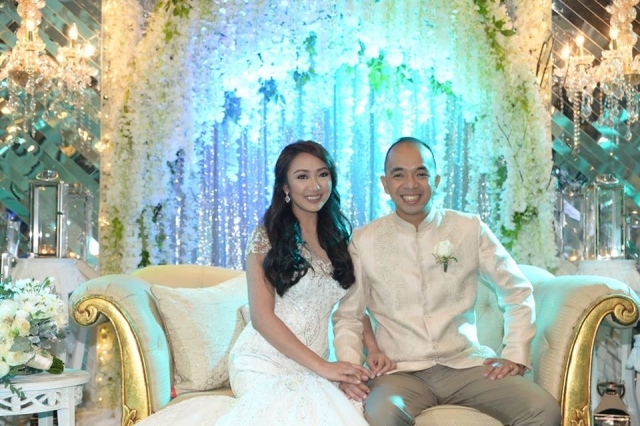 Their guests especially loved the ceremony, as well as the performances of Infinite Soul. 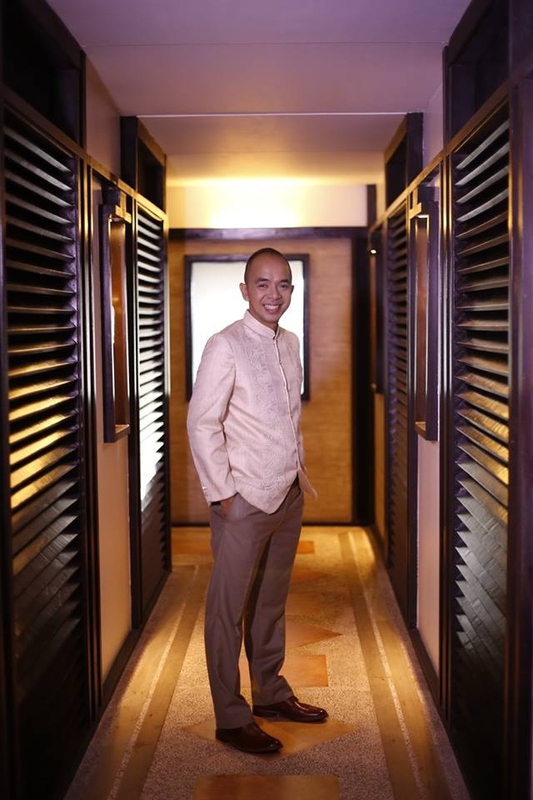 Erick Daquioag, their host, was also full of energy, impressing everyone. The coordinators also worked so well to pull off a lovely wedding. 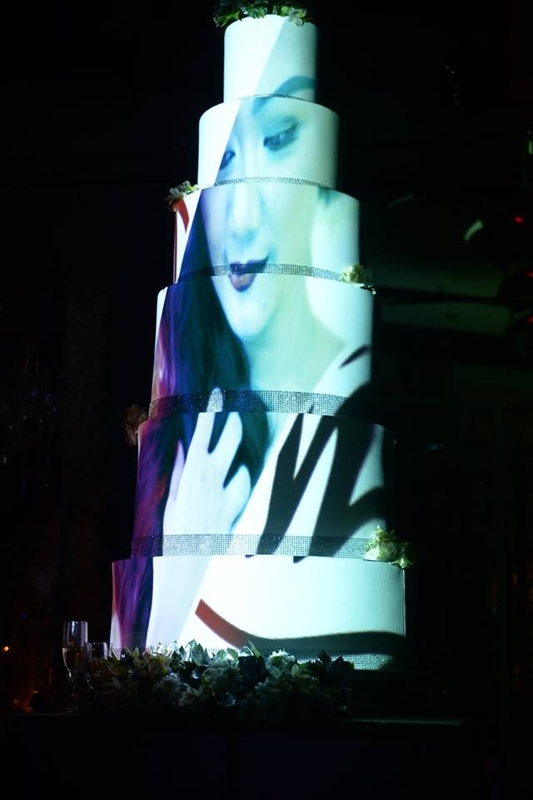 Everyone also liked the collaboration of the florist and Vivere Hotel. 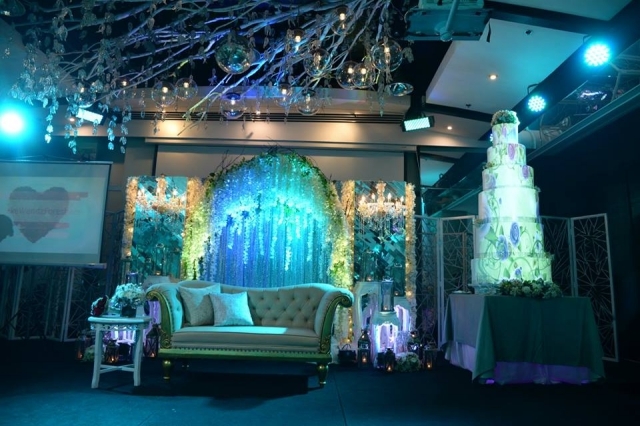 The styling perfectly complemented the stunning wedding cake by Cake Mapping Philippines. 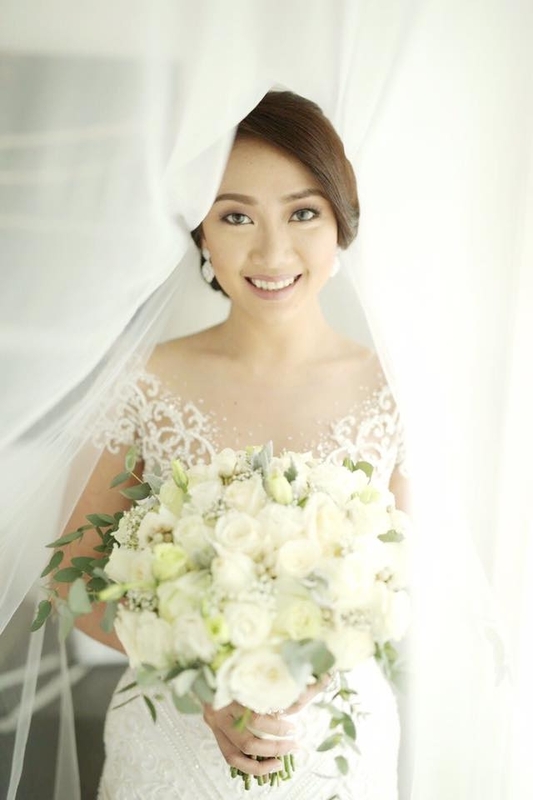 The bride also looked so great in her wedding dress by Jazel Sy. And, of course, all priceless moments from this magical day was captured by Nice Print Photography & Exige Weddings. 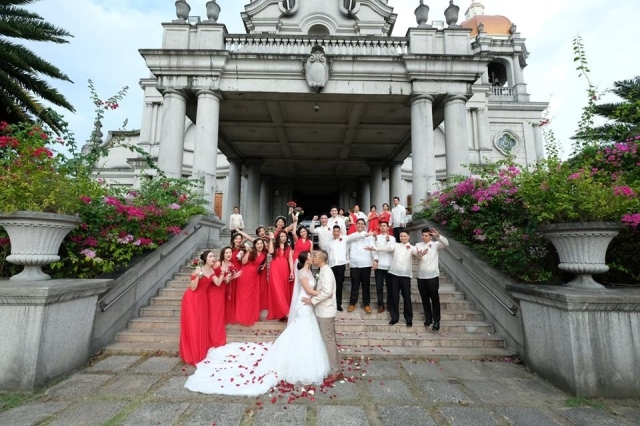 Kasal.com, the essential Filipino wedding guide, also played a huge role in the success of this wedding. “They were able to provide answers to some of my queries which other site doesn’t have. They sometimes gave wise, practical and budget friendly answers. 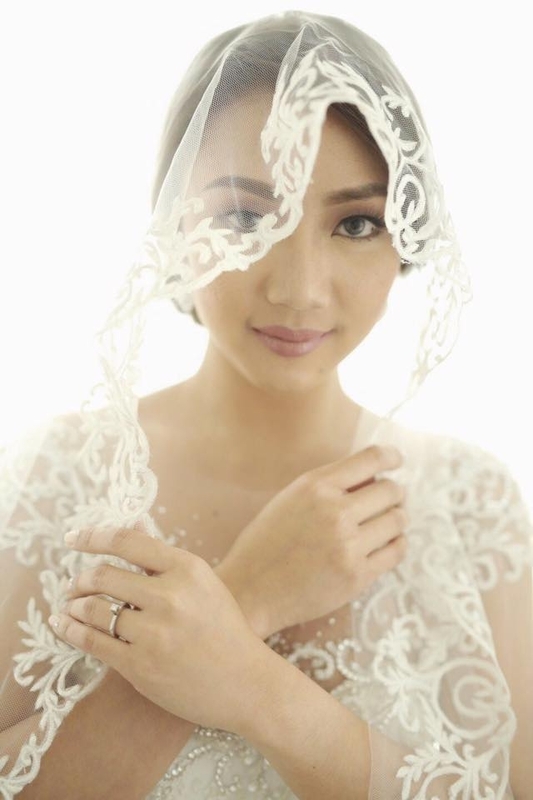 They even provide guide and answers to unexpected wedding preparation problems,” shared Wendz. She also reminded soon-to-weds to pay attention to photos and videos. 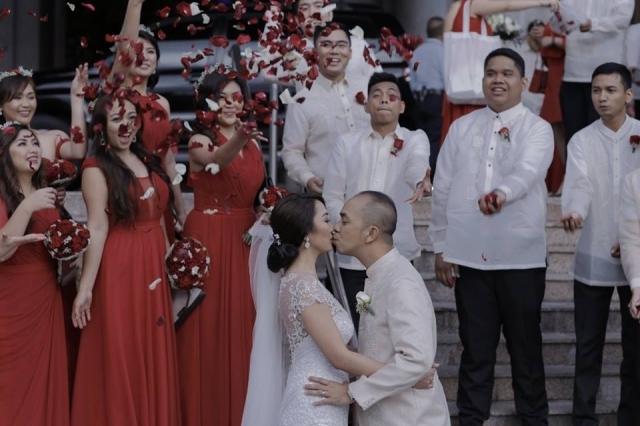 “Never take for granted the photos and videos because that’s one of the most important thing too, because their will serve as your most cherished memories so choose wisely,” she reminded couples. And, of course, she also had something to say about budget. 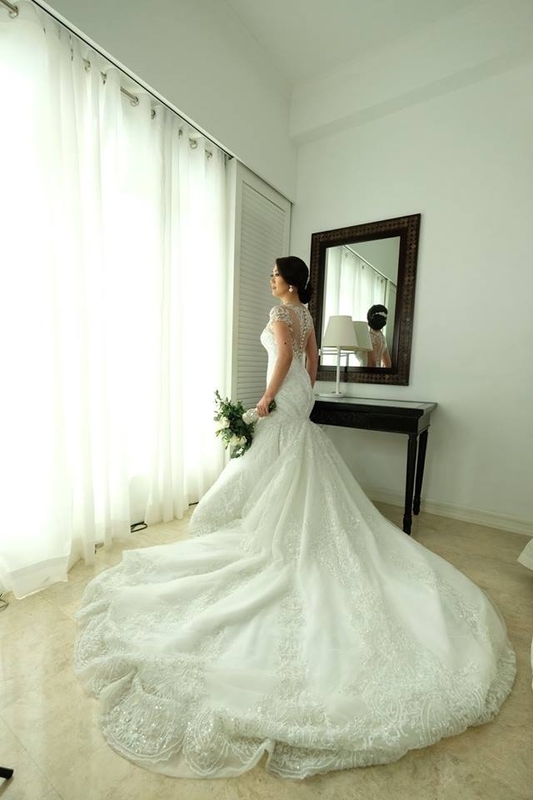 “It’s not necessary to spend too much on your wedding, keep a good budget at hand for as long as both of you and your guests will be comfortable and will have fun then that’s already a successful wedding preparation,” she added.